Maurice Cohen , born in New York and raised in Puerto Rico, is the owner and Operator of Elite Security Group; a licensed Security and Investigations agency. 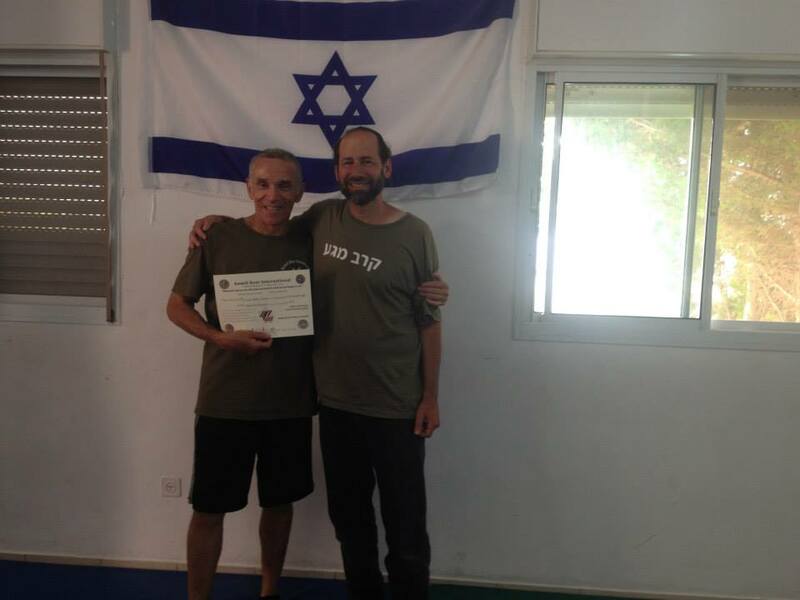 During his self defense career he had the opportunity to learn the same methods that the Elite Military and Police Units teach to their operators. 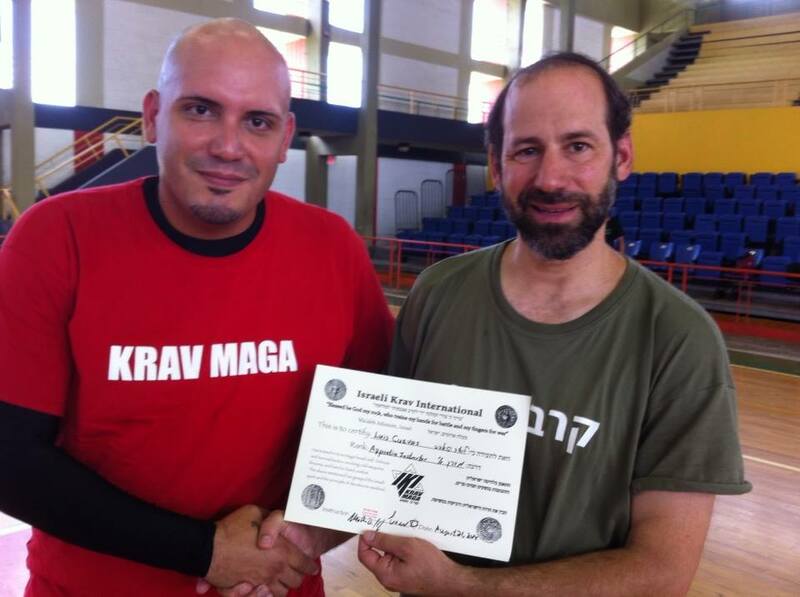 For three consecutive years, he had the opportunity to teach defensive tactics to Security and Law enforcement personnel, from more than 30 countries at the Miami Convention Center during the Americas Fire and Security Expo. He is also an N.R.A. 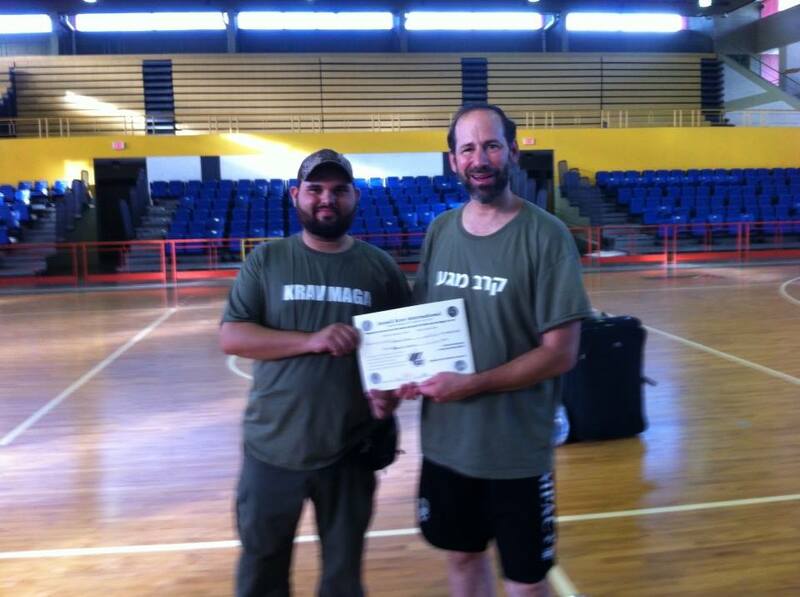 Certified Instructor. He is a Black Belt in: Traditional Taekwon-Do 1st Dan Olympic Taekwondo 2nd Dan Koryo Gumdo (Korean Swordmanship) 1st Dan On 2012 he was awarded the Instructor of the year title form The Martial Arts in Action Magazine "Martial Arts Hall of Fame" for his work with disabled people and down syndrome kids. He also trained in different Martial Arts Including; American Bushin-Jutsu, Aikijujutsu, Combat Hapkido, Taekido Defense System, Ground Grappling, Junfan Jeet Kune Do, Filipino Combat Systems, Filipino Combatives, Modern Blade Concepts, Farang Mu Sul and Judo. 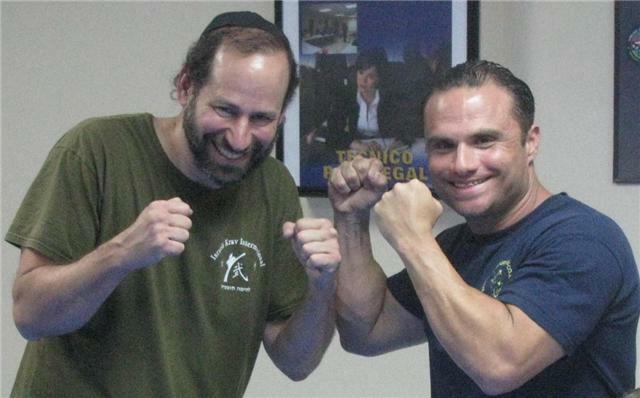 William Sanchez has a very rich background in martial arts. He began with Taekwondo in 1984. Since then he has been an Olympic participants and coach with many impressive achievements. 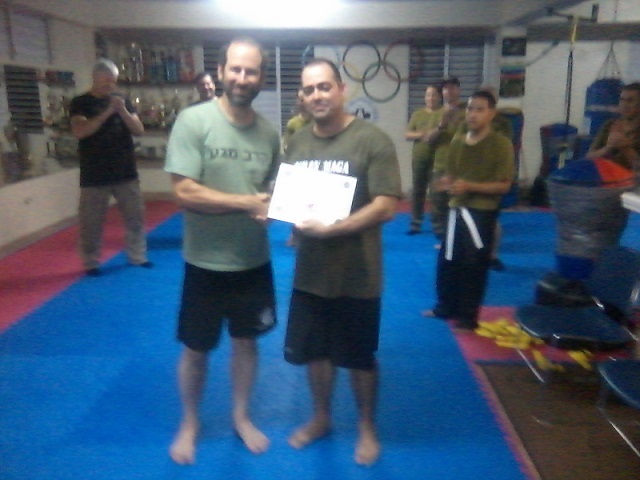 He has earned rank in many martial styles, has served as head of organizations, as coach and as referee. We are proud to have a man of his experience with us. 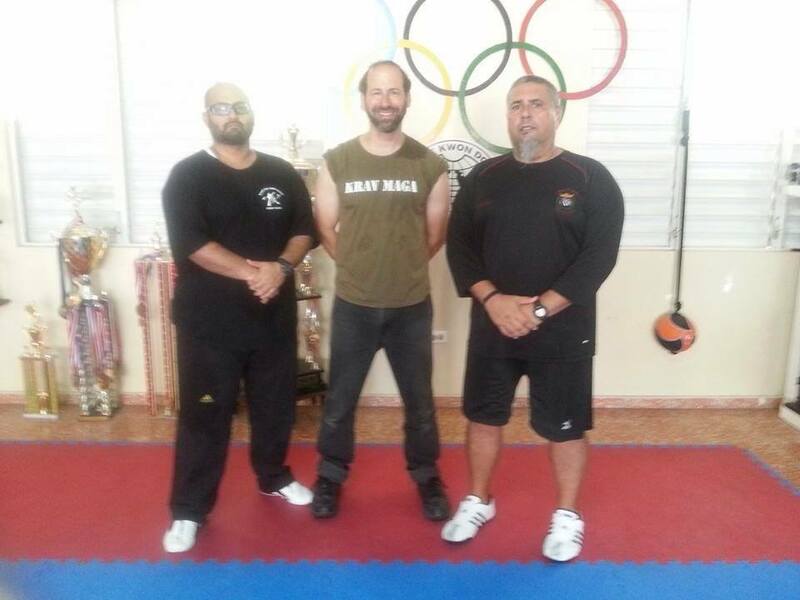 Jorge Castillo, Moshe Katz, William Sanchez, Puerto Rico, October 2013. Born in New York City, moved to PR at the age of five. Presently, he is a State Police Officer with the Puerto Rico Police Department and a Military Police Sergeant in the US Army Reserve. He has more than 14 years of experience in both fields. 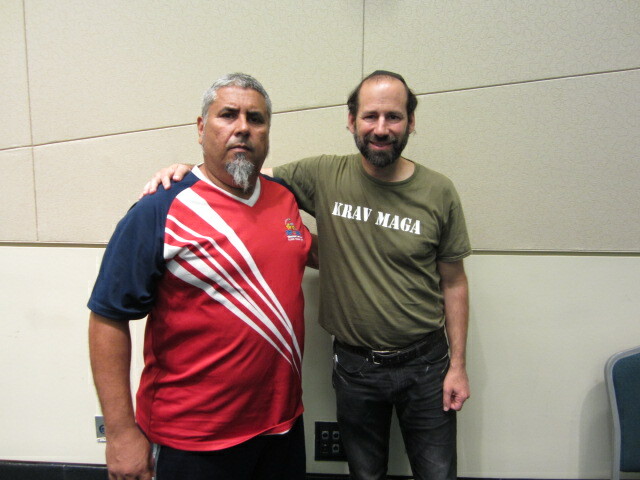 He is also an Iraq War Veteran and holds a M.A. in Criminal Justice from the Interamerican University of PR. 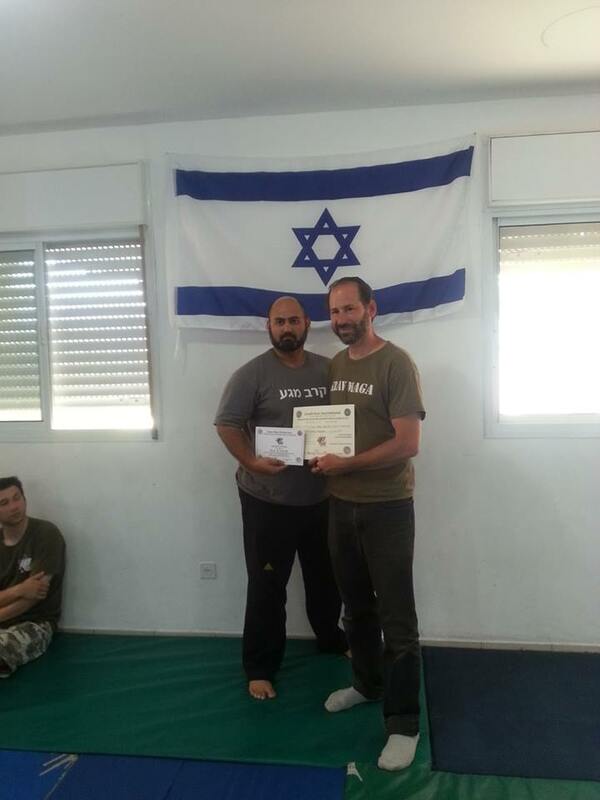 He recently passed his exam for 2nd Degree Black Belt in Combat Hapkido and became an Apprentice Instructor in Krav Maga in October 2013. 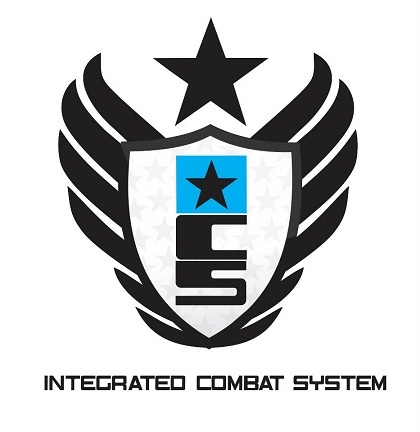 He has also trained in different Martial Arts including: Chinese Boxing, Taekido Defense System, Junfan Jeet Kune Do, Ground Survival Techniques, Kali, Ground Grappling, Expandable Baton Techniques with the Advanced Kajukenbo Defensives and Tactics System, and Modern Farang Mu Sul.